Stoicism is an active philosophy. That means that it is not enough to know its doctrines, one must also live them, develop habits that expand on and complete their ideas in practice. Practice, therefore, is also the focus of this book. The development of the listener's inner and outer life, that they may follow their own path and discover what it means to "live life in accordance with nature". Stoicism's role in the development of cognitive behavioral therapy (CBT). Theology's role in Stoicism and Stoic cosmology. 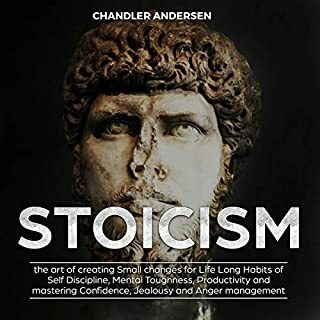 Grab your copy of a detailed guide on stoicism philosophy and wisdom! This audio book is a great one to listen too. The tone is fair and even, the book is nicely put together with amazing detail, and voice over was put to perfection. I gave the overall story a 5 star for these reasons. Performance got a 5 star as well because the voices tone, methods, and frequency. The overall story was a home run. I rated it a 5 star because the detailed mass of the writing was informative and detailed. In a worldly sense, the story was able to capture my attention and cover the most important topics I was looking for. In a heartbeat I would suggest this book to anyone. The book itself is wonderful. The narration is very mechanical and robotic so it’s difficult to relax and listen to. 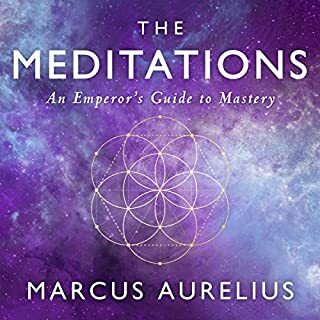 Where does Stoicism: A Detailed Breakdown of Stoicism Philosophy and Wisdom from the Greats rank among all the audiobooks you’ve listened to so far? At first, I wasn't sure how I was feeling about Tanner's novel, but I think a big part of that was due to the fact that I didn't really know anything about stoicism. However, now that I have enough of a basic understanding of the philosophy, I feel that I would enjoy the novel a lot more a second time around. It was actually the first audiobook I listened to and I'm eager to listen to more. What was one of the most memorable moments of Stoicism: A Detailed Breakdown of Stoicism Philosophy and Wisdom from the Greats? Being an English major, I very much enjoyed the section where Tanner highlighted how stoicism ties into "If/Then" statements. I also like how he laid out the difference between having "knowledge" and having "wisdom." Many people think the two words are interchangeable, but that's not exactly the case. Sam Slydell definitely spoke with an air of someone who had familiarized himself with the source material before doing the reading. 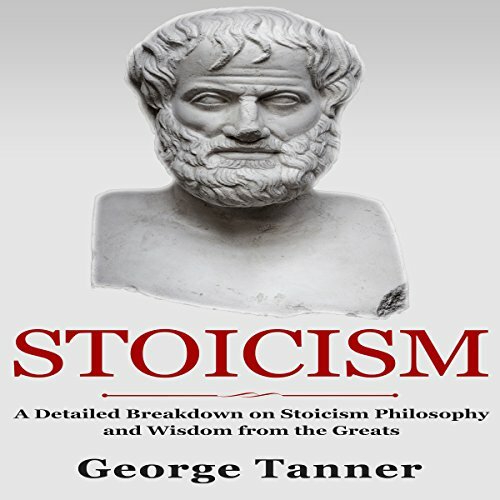 I loved how even though most of the source material for stoicism came from philosophers that lived thousands of years ago, Tanner was able to relate the basic philosophies of stoicism with modern day examples, making it much easier to understand. I thoroughly enjoyed this novel more than I expected and I recommend it to anyone interested in learning a little bit more about this particular philosophy. This book was a pleasure to experience! Tanner captures the reader's attention from the opening segment. 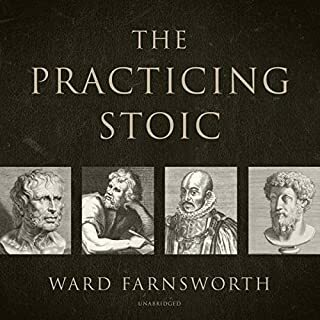 In that first foray into describing Stoicism, he explains the historical background that informs the philosophy. Far from being a stuffy analysis, Tanner's style and Slydell's narration make this book accessible and easy to devour. Although the text is accessible, it is not a watered down analysis of the philosophy, Tanner takes complex, abstract concepts and rigorously analyzes and explains them. His analysis and explanations make those previously complex concepts more digestible. While the subject is niche, this book serves as an excellent primer to Stoicism and would benefit people interested in how philosophy informs the human experience. These are a few tidbits from the book that help you to understand stoicism and its followers. 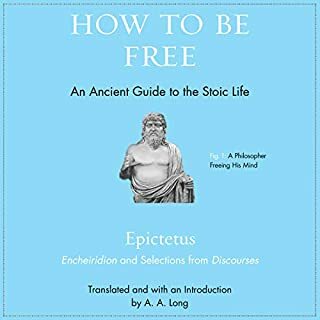 I found this book extremely enlightening and actually realized that I myself am already a partial stoic by nature. I’d recommend this book as a good read for anyone interested in Ancient Rome or philosophy. 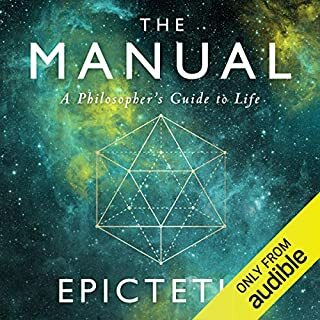 Being the first audiobook I have listened to, it was a great beginning. I will definitely be listening to more. There were many moments of confusion that were quickly squelched with George Tanner's use of examples, definitions, and real life scenarios. You quickly begin to understand the philosophical thought of stoicism is still prevalent in today's society. What does Sam Slydell bring to the story that you wouldn’t experience if you just read the book? The pronunciation and enunciation of words made my experience listening to this book excellent. I would not have understood the information as well by reading alone. 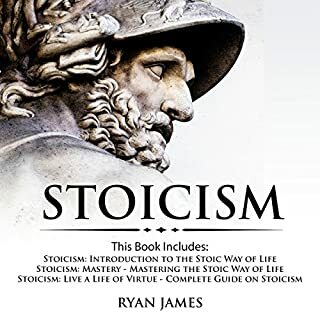 The definition of stoicism and how one is defined as stoic was interesting. The word stoic is used in today's culture but knowing the real definition makes the use of this even more compelling. This is a must read for anyone studying philosophy or the idea of stoicism! A wonderful exploration of Stoicism! Mr. Tanner has really captured the essence of stoicism in a manner that is understandable and organized. Yet in no way has the text been dumbed down. This book has a very firm grasp on the philosophical content, and Tanner excels at explaining it in detail. That being said, by no means is this book a leisurely read. It is a valuable addition to the study of philosophical betterment and social understanding. It is also “not” a self help book. Nor does it fall into the category of copy and paste/dime store incite. It is a work study on a very solid form of human thinking and discipline; being one of the 14 schools of thought in Hellenistic philosophy. I found that this way of thinking (from the perspective of stoic thought) not only spans through all of the sciences, humanities, and most major religions. It also plays a crucial role in wisdom, morality, and virtue. Mr. Tanner starts out by laying the foundations of stoicism and its roots originating in Greece, by drawing from the surviving documents of the Hellenistic teachers. Beginning from the life of Zeno of Citium (its founder) to its movement across continents, and socially in different societies through the centuries. In the following chapters, Tanner slowly becomes more in depth, describing the intricacies of human comprehension inside the spectrum of stoic thought with a mathematical, and psychological meter. In turn giving practical application for present day life through example and theory. I also found out that one of the many applications stoicism is used in modern day society, is in cognitive behavioral therapy. A main bonus for me when reading this book was seeing how Mr. Tanner describes his own experiences in life using Stoicism. How he has failed when not using this frame of mind and how he excelled by implementing its core virtues. He tells us with examples that wisdom in life must have a strong sense of justice, prudence, temperance, and courage. He also points out the true meaning of common words and forms of thought, that a lot of us use improperly or without the correct application for which it was intended. In turn why a great many of us fail in our own lives in an effort to better ourselves through different systems of belief. I highly recommend this book to students aspiring to learn more about philosophy and to anyone that is interested in the betterment of human thought and application.